Oral histories are compelling storytelling that breathe fresh life into genealogy. Not convinced? Check out initiatives like StoryCorps, which bring everyday people together to remember and share ordinary experiences that shaped their lives. What seem like unremarkable events on the surface are made into moving emotional explorations of what make a person tick. Seriously, listen to one of those interviews and tell me you don't have a tear in your eye (because I don't! It's just an eyelash! Quit looking at me!). Who wouldn't want a parent or grandparent recorded for posterity's sake? Oral histories infuse substance into family history and restore life to the dash between the birth and death years. 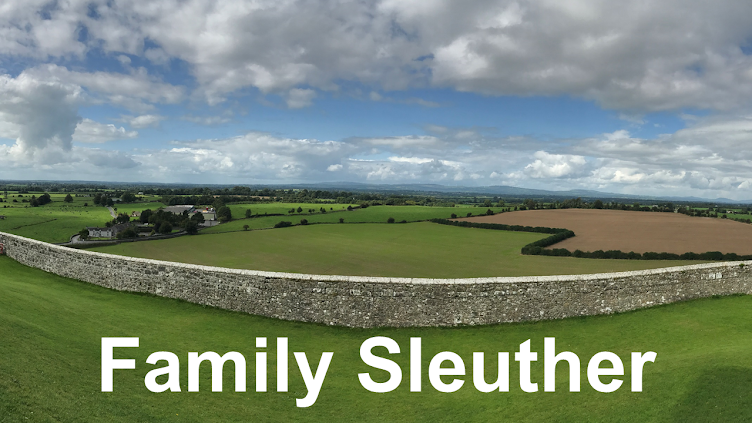 I believe they're an essential part of the genealogist's toolkit, and, when combined with photos, are great additions to family history blogs. We're really quite fortunate that we live in a day and age where technology is both portable and ubiquitous. According to recent Pew Research Center polling, over 70% of American adults report owning a smart phone. That number climbs to nearly 90% when additional respondents acknowledge that they "use the internet at least occasionally." Most Americans have the technology to incorporate storytelling into their genealogy and they carry it with them everyday. A couple years ago, I recorded a phone conversation with my maternal grandmother. The purpose was to log all of her stories and memories that I planned to research further. However, after her unexpected passing later that year, I had on my hands a real treasure that was made more meaningful when converted into an oral history video. 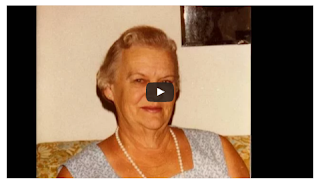 That convinced me to start recording conversations with my family and to create videos of those remembrances to supplement my family history storytelling (see The Family's Poetic Missives and A Kansas Prairie Cemetery). Here's how you can do it, too. The following three step process is a breezy thumbnail sketch overview. Each step may require additional detailed guidance depending on your familiarity with the technology or software you're using and your general technical savvy. 1. First, you need to identify who you are going to interview and the questions you will ask. I advocate for interviewing everyone. You may be surprised by how different family members - aunts, uncles, cousins - remember an ancestor. If you're stumped on what to ask, there are dozens of starter questions online (check out these 20 questions from Family Tree Magazine). I recommend that these serve as guides only. In my experience, I have seen greater substance flow from real back-and-forth conversations. That requires that you listen to what the interviewee is saying instead of waiting for them to finish responding so you can move on to the next question. Be sure to ask follow up questions. The rabbit holes are where the gems are. 2. Second, you need to record the conversation. If you're in the same room as your subject, you can use your smartphone. Simply use the device's audio recording function. However, if you live hundreds of miles away from your family (like me), you can record phone calls with your computer. I do this using Skype, which allows me to make calls from my computer to another Skype user, or even cell phones and landlines. Recording software like Evaer pairs with Skype to record the entire conversation and creates a file that will save to your computer after the call ends. 3. Third, you're ready to create your video. I use Windows Movie Maker because it was a freebie already on my laptop. Regardless of the product that you use, upload your audio file. Next, add photos to the film. Position and time them so that they align with what the interviewee is talking about (you may need to Google instructions specific to the software that you're using to finesse this effort). After you've created the video, upload it to an online platform like YouTube. 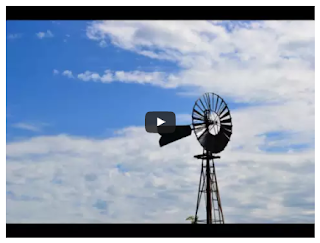 This will allow you to share the video with family or embed the file in your blog. When I add a video to a blog, I try to remain mindful of people's attention spans and keep the length to about two minutes. Remember, these don't have to be highly polished, sophisticated films. The purpose is not to create Citizen Kane, but to simply start recording and sharing your family's story. An amateur product is better than a missed opportunity and silence. Hello Michael, Just read your interview on Geneabloggers and enjoyed it very much. I like what you had to say. You have some interesting stories. Keep at it! I appreciate the compliments and encouragement, Wendy! Thank you! Hi Michael! Found your blog after reading about you at Geneabloggers. What a nice site you got here! Have a nice day! Thanks for checking it out and the kind words, Linda. I appreciate it! Michael, such a nice and easy to follow guide on how to. Thank you! Some of us have camera shy relatives. What do we do in that case? I do, too. I've had some luck with power of peer pressure. That is to say that it's sometimes been persuasive when I mention to one reluctant relative that another relative had done an interview. There's something to be said for not wanting to be left out. Obviously that doesn't work for everyone. I have folks who still aren't interested no matter what. Let me know if you think of something that works for those who are set against it.